I just released my third book. 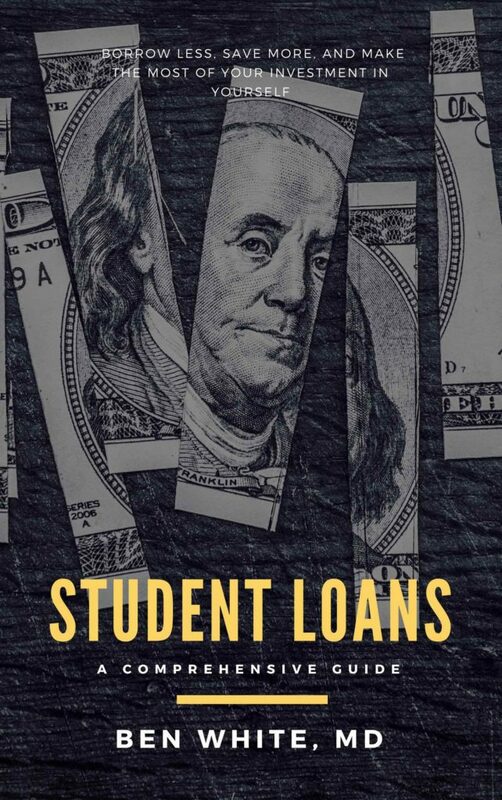 OK, it’s really more like my 2.5th book, because Student Loans: A Comprehensive Guide is a line-by-line reworking and expansion of my second book, Medical Student Loans: A Comprehensive Guide. As with all of my longer projects, I drastically underestimated the amount of effort and time it would take to complete this task, as this book still took the better part of a year to complete. Student Loans is temporarily exclusively available on the Kindle platform, and I’m running a free book promotion until the end of Friday. So, if you are or will be a physician, read my other book; I wrote it just for you, and there’s nothing else like it. If you’re anything else, please enjoy this new book (for free), and tell your friends who are in school, have been in school, or will be in school to get their free copy now (there’s nothing else like it). Ursula K. Le Guin, one of my very favorite writers, passed away this week at the age of 88. Le Guin was sometimes referred to as a really good speculative fiction author—which is wrong. She was a fantastic writer who happened to mostly write genre fiction. Her meticulously crafted imaginative work set the stage for younger writers like Michael Chabon and David Mitchell to write literary novels that include the fantastic, something readers now take for granted. A Wizard of Earthsea was one of my first great loves in fiction of any style (though the new cover art makes me sad). The Left Hand of Darkness is really the shining example of what a good writer can accomplish only within the structure of “science fiction.” Ditto The Dispossessed. And The Lathe of Heaven. Even her manual Steering the Craft was my favorite book on the mechanics of storytelling for many years (and was apparently extensively revised/rewritten and republished in 2015, which means I need to read it again).